Two day workshop with all the materials included. 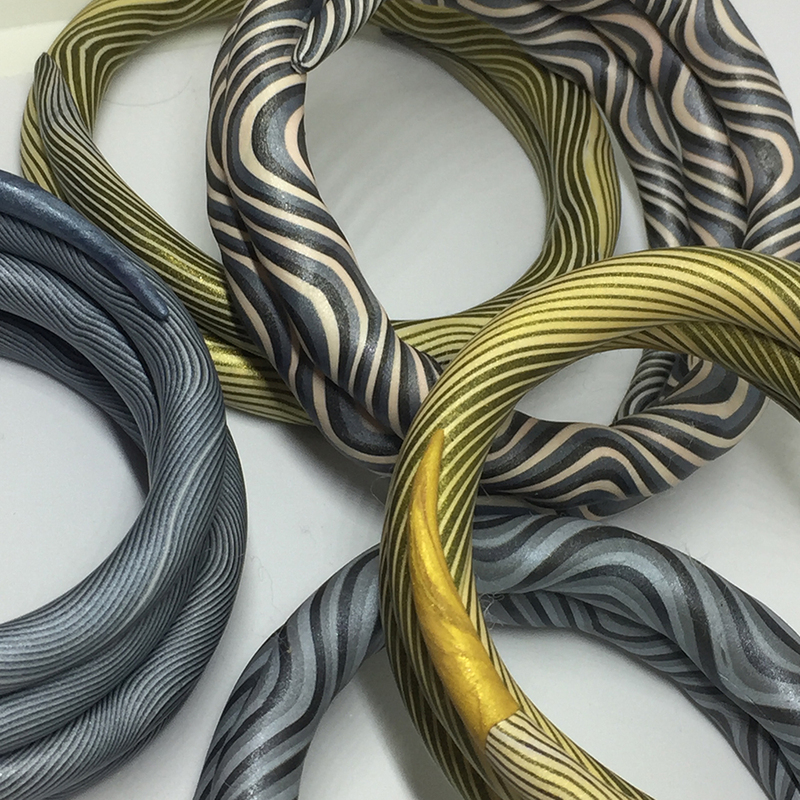 This new workshop combines a color class on the three dimensions of color with a project class that focuses on exploring the amazing sculptural (3D) capabilities of polymer clay. 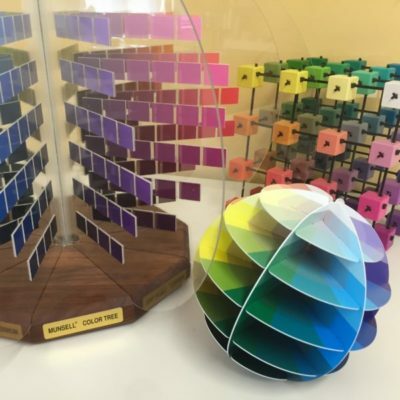 One of the most important tools you will take away from this workshop is a color globe to help you understand the fascinating world of color relationships. Every student will receive a Mini Color Globe by Kolormondo and learn how to use the three-dimensions of color to choose a palette and control the mood and message of your art. 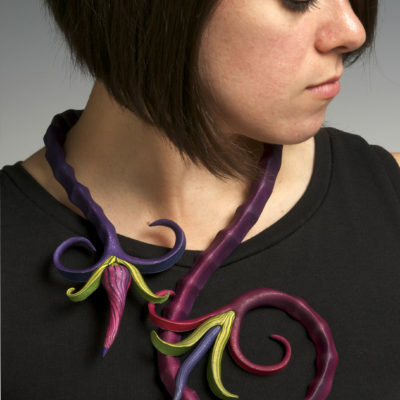 After making a color collage and mixing a custom palette inspired by the collage, students will use Maggie’s Color Wash technique to hand sculpt a neckpiece similar to the one shown in the photo. 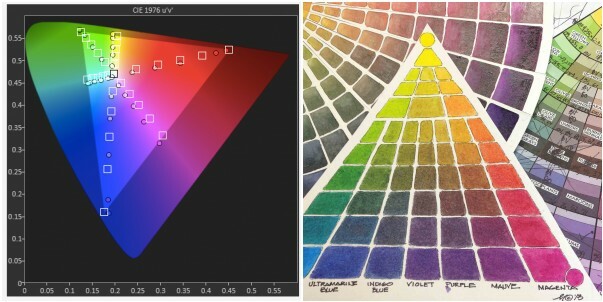 Color is an integrated system of both light and pigment. With some practice, it’s not too hard to learn how to travel comfortably between these two worlds. Forget the rules. We will start by going back to kindergarten and play with polymer clay using Cyan, Magenta and Yellow instead of the classic Red, Yellow and Blue primary colors. After experimenting with modern color mixing in polymer clay, we will go deeper into the world of color exploration by looking through a prism, mixing color in light, and then mix a color blend in polymer clay to use for the project. Maggie will demonstrate the basics of her signature ColorWash technique as you make your neckpiece. The adventure continues with explorations of your unique sense of color. 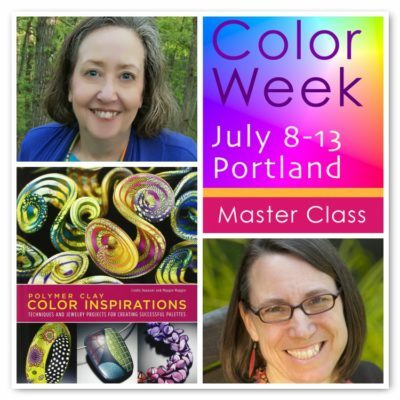 On the second day, you will make a personal color collage, create a customized palette, and learn how to use 3D color relationships to develop your color voice . As you play with combining colors, Maggie will demonstrate variations of the ColorWash technique for you to explore in class and at home. You will leave with a better understanding of the complexity of color and many new tools continuing your explorations of the interconnected system of light and pigment that is at the heart of 21st Century Color. My goal is that you go back to your studio feeling more comfortable with using color intuitively and more willing to use it adventurously! Students Bring: Pasta machine, work surface, blade, roller, make-up brush. Note: Long fingernails make the pinching technique difficult to control.